The Porsche 930 LE is undoubtedly a fantastic forced-induction 911, as Josh found out in his classic test drive in issue 110. With the Turbo celebrating its 40th anniversary this year though, interest in this end-of-the-line special should increase dramatically. That’s why we’re particularly interested in this 25,802-mile example soon to be up for sale at Silverstone Auction’s 26th July sale. With a guide price of between £75,000 and £100,000, it’s an attractive proposition, especially given that this is one of just 14 right-hand-drive examples ever produced. Josh took a RHD 930 LE out for a test drive in issue 110 to find a thoroughly modern classic. That’s right, in RHD form, the Porsche 930 LE is rarer than a 1973 911 Carrera RSH. And, when finished in black with cream interior, there aren’t many more appealing Eighties 911s currently on the market. 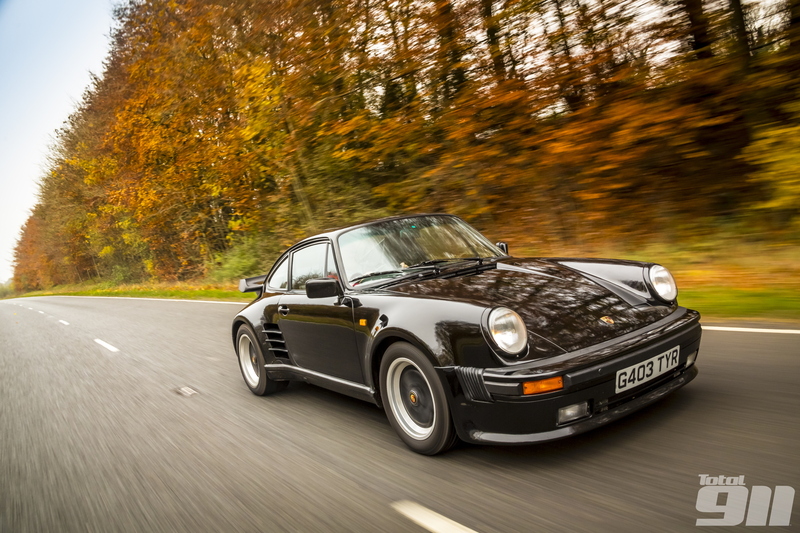 What’s even more remarkable is that the 930 LE came with an astonishing £84,492 pricetag upon its release in 1989. Given its surprisingly low estimate, the G50-gearboxed car is sure to garner high levels of interest. What are you thoughts?